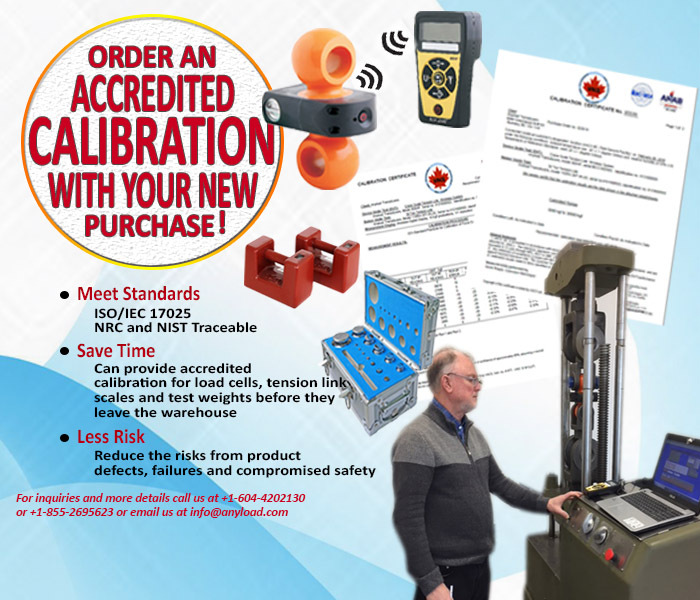 > Featured Products, New Product Announcement, News & Announcements > Order an Accredited Calibration with your New Purchase! ANYLOAD has partnered now an accredited calibration services for load cells, tension link scales, test weights and other weighing related devices and instruments. Both Force Calibration and Weight Calibration can be done in our accredited facility. Click here to request quotation..